Learn how to tie like the pro's. View our online tutorials on how to make those beautiful bows and ties you see on the back of the chairs. Visit our blog and read more about the lattest wedding trends, what's new at Mimi & Co and where our linens are being featured today. 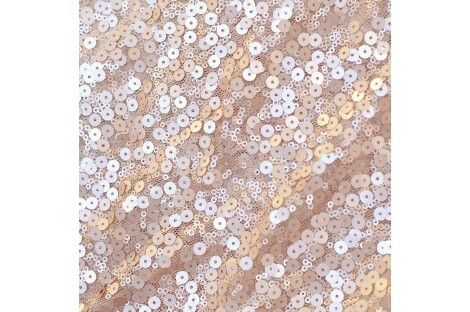 Matte Sequins in Blush Color. Visit our Gallery Section to be inspired by the amazing events being adorned with Mimi & Co's Luxury Linen. Mimi and Co Linen Rentals exists because of the need for uniqueness in wedding linen styles. Located in the sunny capital of California, Mimi & Co boasts one of the largest inventory of gorgeous and unique linen selections. With a 10,000 sq feet linen closet of the most coveted linens that will surely impress your guests, to one-of-a-kind creations that have yet to be debuted at your special event, all can now be shipped nationwide and direct to your doorstep.